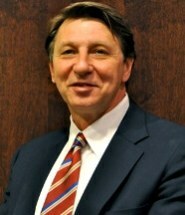 Tony Orsbon is a partner at Orsbon & Fenninger LLP. He is a North Carolina State Bar certified specialist in Estate Planning and Probate law. Mr. Orsbon counsels clients regarding estate planning and probate matters, assists fiduciaries in administration of estates and litigates cases involving probate disputes and interpretation of testamentary documents. Business Planning related to asset transfers, including formation of tax-advantageous entities and succession planning for business interests. Mr. Orsbon was born in North Carolina, in Wilkes County, on a farm in the Blue Ridge Mountains. He attended public schools for his secondary education, having both parents as his teachers in lower grades. He was active in sports in college, setting a Davidson College record in track and field, and playing basketball, Division I, for a team that finished 8th, 5th and 3rd in the nation, coached by Lefty Driesell. Mr. Orsbon graduated with a commission as a First Lieutenant in the US Army, serving as Brigade Commander of his College Cadet Corps, was a Distinguished Military Graduate, Scabbard and Blade, and Honor Commander of the Corps for Commissioning Exercises. He was active in drama and creative writing, receiving admission to the Red and Black Masquers, and publishing poetry and essays in the Davidson Miscellany. He was tapped for membership in Omicron Delta Kappa, national leadership fraternity, and was a member of Phi Delta Theta, national social fraternity. He also served on the college YMCA Board and was active in Fellowship of Christian Athletes. Mr. Orsbon won a full Patrick Wilson Merit Scholarship for law school at Vanderbilt University School of Law. There he was chosen for service on the Law Review, serving as Associate Managing Editor, and publishing works for national circulation. He also won the Bennett Douglas Bell Award for Outstanding Senior Law Graduate. Following law school, Mr. Orsbon served in the Army in the continental United States, in the Adjutant General Corps, where he was an Honor Graduate of the Officers Basic Course. He served in the US Army Reserves for 8 years prior to his Honorable Discharge as a Captain. Mr. Orsbon began his practice with a clerkship with Womble, Carlyle, Sandridge & Rice in Winston-Salem, NC, and joined Kennedy, Covington, Lobdell & Hickman for two years before becoming a Partner in Parker, Poe, Adams & Bernstein LLP in 1975. He began his own firm, Orsbon & Fenninger LLP, in 2001, specializing in Estate Planning, Probate, Trusts, Taxation and Family Business legal issues. Mr. Orsbon is married to Susan, with 3 children, Sarah, Wyatt and David, two granddaughters, Mary Grace and Caroline, and two grandsons, Guy and Bauer. He is active in community affairs, serving as Chairman of ECO Inc., a United Way agency; is on the Board of Directors of the Brumley Foundation; is on the Board of Trustees of the Cole Foundation; is on the Board of Directors of the Center for Community Transitions; was on the local Board of Directors of the United Way; served as Chairman of the Queens College Estate Planners Seminar planning committee; was President of the Board of the Charlotte Estate Planning Council, and several other positions; served as Chairman of the Board of Myers Park United Methodist Church, Lay Leader, Chancel Choir, Chairman of Staff-Parish Committee; Trustee of Davidson College, President of National Alumni Association, Alumni Service Award, President of Board of Davidson Athletic Foundation; Dean's Council of Vanderbilt University; President of Foxcroft Swim and Racquet Club; and Outstanding Volunteer Charlotte Observer/United Way, 1984. He has also authored several professional papers presented to the NC Bar and articles in national publications. He has served on the County Legal Ethics Review Board. He is recognized in the Marquis, Who's Who In America and Who's Who In American Law. He has an AV rating in the International Martindale Legal Directory.